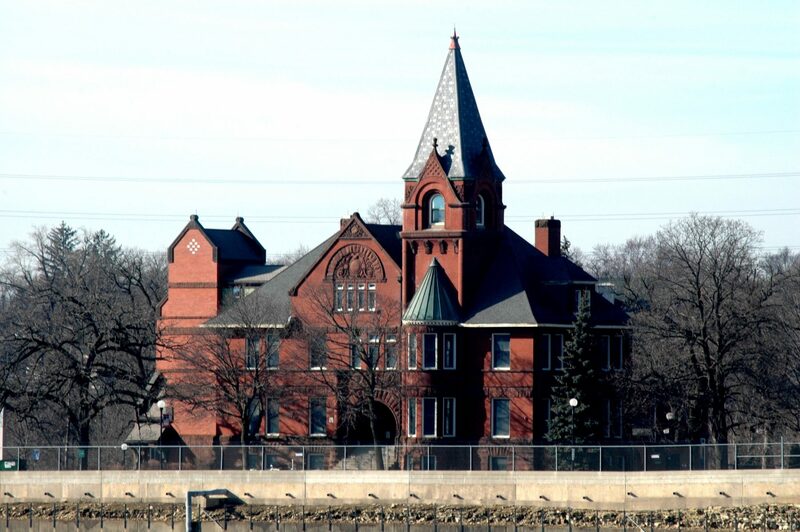 Administration Building, Minnehaha Veterans Home Complex – Built in 1892 and designed by architect W.B. Dunnell, “the Administration Building is the most elaborate of the original Richardsonian Romanesque buildings on the campus, as well as the focal point of the Soldiers’ Home. It is a tall, two-story brick and red sandstone structure built on a raised basement foundation of red sandstone. The east-facing facade overlooking the Mississippi River is dominated by an ornate, four-story square brick tower topped by a pyramidal roof.